Meru Spring Water Limited is a registered company under the Tanzania Company’s registration with its certificate of Incorporation No. 81982. 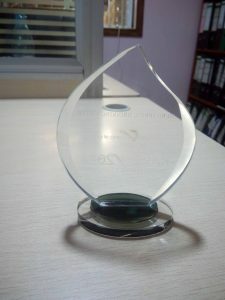 The company was established in 2011 and carried out its first production in 2013. The company is headquartered in Arusha and our factory being located in Sakina-Kwa Idd area. Meru Spring Water has proven to be one of the leading brand of water in homes and offices in Arusha and Neighboring towns. You will notice Meru Spring Water with your first taste of it, absolutely fresh, crisp and great tasting. At Meru Spring Water Limited, we know how important water is to health, productivity, and quality of life. It is our mission to provide you with a convenient and reliable source of hydration and well- being, to help you take better care of yourself and your family every day. The company is specialized in different water packaging sizes on the market ranging from 20 litres gallons to 330 ML bottle respectively. The company has operations in the Arusha market and further expansion with stores in Babati, Karatu and Moshi. As our Motto reads “Choose Life” we are therefore much concerned with quality product and quality management. 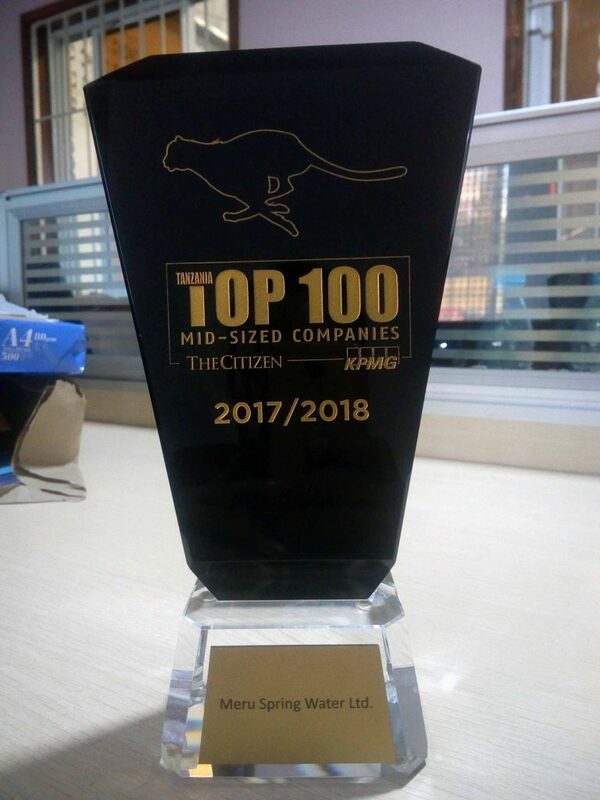 For the last 5 years, the company has ensured to provide thousands of families to drink real mineral water and continues its successful journey with our satisfied customers. 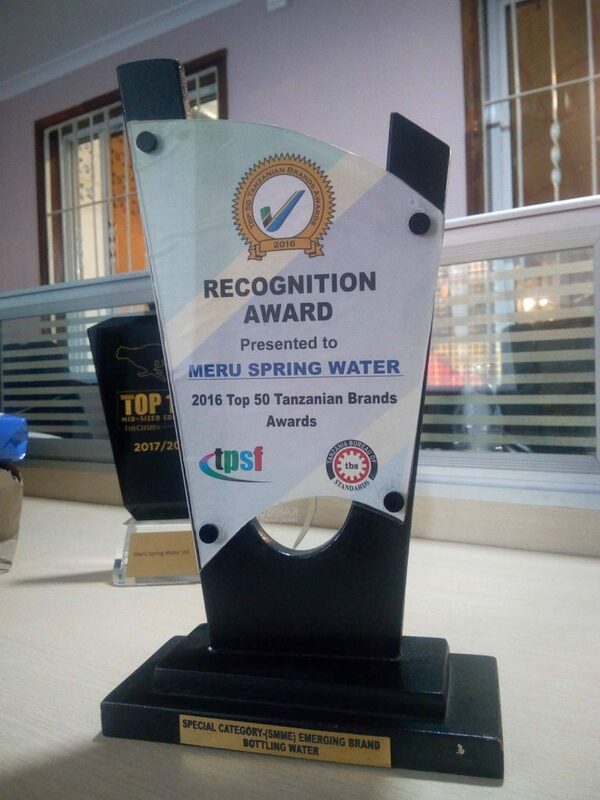 Today, Meru Spring Water Limited is striving to maintain its highest standard of quality production with our ever-proficient team and world-class facilities in place. 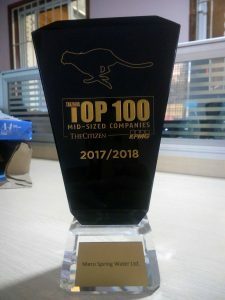 Our mission is to constantly excel and steadily grow our brand with our focus in meeting the demands of the future market through innovation, adoption of new technology and investment in our staff. Our target leadership position will only come through delivering safe drinking water, on a timely basis and through friendly service at friendly pricing. To be a multinational player that has global tentacles yet remain loyal to the local needs.